Each bouquet produced within the confines of our little shop leaves with a little sparkle, a little magic, and a little luck. We spend more time on perfecting the bridal bouquet than we do on 90% of the other pieces associated with a wedding. Why you may ask? This is the picture that makes it onto your nightstand, the wedding photo of the two of you and your bouquet hangs in the hallway. This is the one moment that captures the essence of your wedding. My best friend elected for us just to do her bridal bouquet, simply because she wanted it to stand out from any other decoration at her wedding! For me, this is the moment that I crave to create for weddings! I want to see the Bride's face when she holds one of my bouquet creations for the first time!! Katie will tell you that I am a little bit of a hog when it comes to what I create for a wedding. Certain pieces I want to create and others I am good to pass off. I want to create that moment, that singular sparkle in a Bride's eye where the wedding becomes amazingly real. That dream wedding they pictured as a little girl is right in front of them. This is the Cinderella moment, and probably the entire reason why we focus on weddings! Let me create this moment for you! 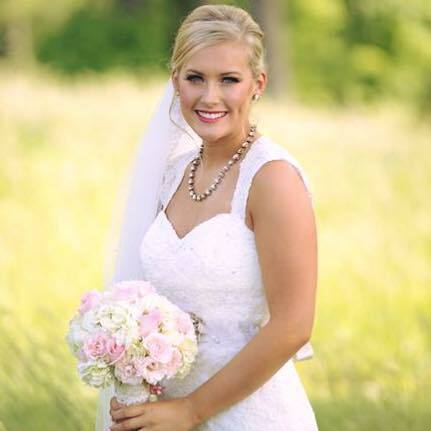 Contact us to be an SRR Bride today! !